This territory is one of the country's national monuments. 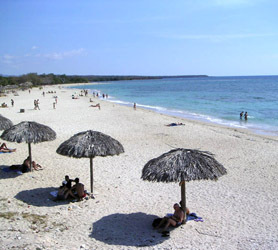 It is located 250 km southeast of Havana . 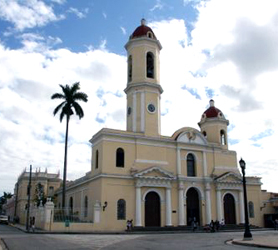 The South Pearl is precisely the name given to the beautiful capital of Cienfuegos province, whose historical centre has been listed since 2005 as one of the privileged places designated by UNESCO as a world heritage site. The area honoured by the celebrated United Nations' entity comprises 70 blocks, including the exact place that served as a starting point for the founding of the town by French settlers on 22 April 1819. 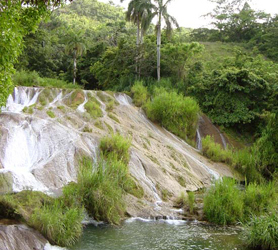 Thus, the well-known South Pearl is the only Cuban city established by people from that European nation. 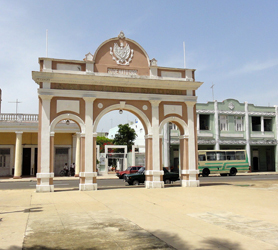 José Martí Park is located in an area that used to be known as the Parade Ground. A rosette indicates the exact place where the first blocks were erected in a city caressed by a beautiful coastal strip. 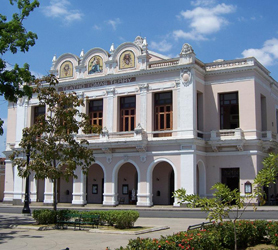 In the area around the park there are very well preserved buildings such as Tomás Terry Theater, where famous stars like Italian tenor Erico Carusso, the French lady Sara Bernhardt and Mexican movie actor Jorge Negrete, among others, have performed. Near the park, there is also San Lorenzo College, a former School of Arts and Crafts; Our Lady of the Purest Conception Cathedral; the Government Palace and the Founder's House, Luis D'Clouet's residence, the region's governor. The Arch of the Republic adds to the good taste and distinction of the environment. This arch is one of a kind in Cuba as well as a series of beautiful sculptures and the arbour built in 1922, as a visual treat to all visitors. In the beginning, the South Pearl was called Fernandina de Jagua, a territory that was designated a villa in 1829 and a city in 1880, on the basis of the area's population increase, its gradual agricultural and industrial development and important seaport. Its neoclassic and eclectic buildings have become this villa's pride ever since, showing an impressive harmony complementing the roads' straight and wide layout , which enhances this 19 th century architectural jewel's design. Its beautiful promenade is the longest in the country and the harbour has an area of 88 sq km. It is perfect for fishing, while it is also a permanent site for international regatta and motorboating competitions. Imperishable singer Beny Moré, an outstanding musician who was born in the nearby town called Santa Isabel de las Lajas, had reason to write in one of his songs: " Cienfuegos is the city I like the most".